Congratulations on your engagement! The best is yet to come! 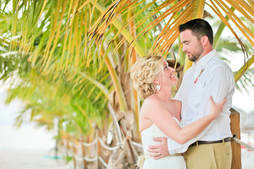 ​As a past destination wedding bride and helping numerous couples over the years with their beach weddings, I've gathered the thoughts and questions that many newly engaged couples have. 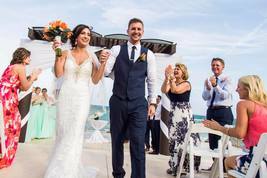 We at Destinations HD created a little cheat sheet below with some of those questions and concerns that come up when planning an all-inclusive resort destination wedding. Destinations HD was recommended to us when we began planning our destination wedding. This was the best decision we made!" I literally had no idea where to start for our destination wedding. I am so thankful to have found you and would advise anyone looking to use your services. It was the best thing I ever did! Thank you for making my wedding experience so amazing. My guests thought you were awesome too!" Have a question we didn't answer? Submit below and we'd be happy to help! *By submitting your question to Destinations HD you are agreeing to receive occasional marketing materials related to Destination Weddings and Destination Wedding Planning. To opt-out of receiving these materials please select "unsubscribe" in the emails you receive.